Taxes can be levied on buyers or sellers of any good or service. However, who actually pays a tax does not depend on who the tax is levied on. 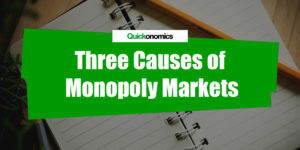 In economic theory, tax incidence – which refers to the distribution of a tax burden between buyers and sellers – only depends on the elasticity of supply and demand. Thus, to find out who actually carries the burden of a tax we have to calculate tax incidence. 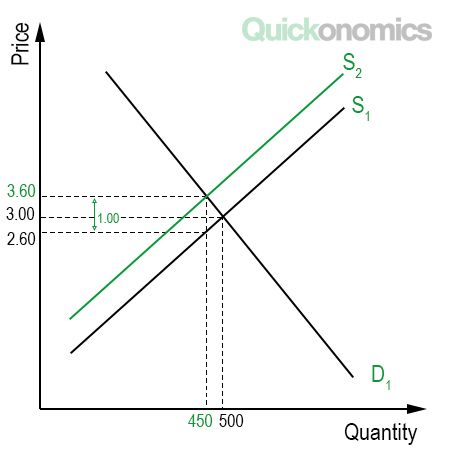 To do this we can use the graphical representation of the law of supply and demand and answer the following questions: Which curve shifts when we impose the tax? In which direction and by how much? What is the new equilibrium? Let’s dive right into it. To calculate tax incidence, we first have to find out whether the tax we are looking at shifts the supply or the demand curve. Taxes that are directly imposed on sellers usually shift the supply curve, because they make business less profitable (i.e. the taxes can be seen as additional costs that decrease profitability). In this case, the demand curve remains unchanged. Meanwhile, taxes that are directly imposed on buyers shift the demand curve, since they make the consumption of goods and services more expensive. 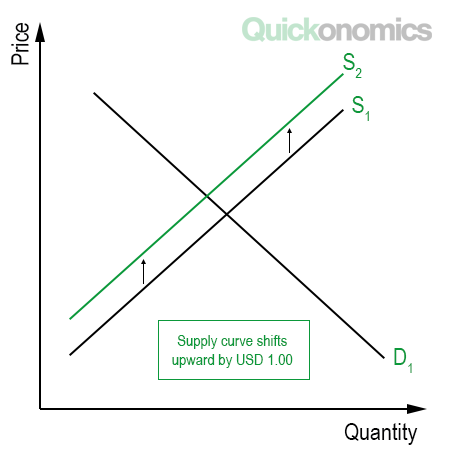 In this scenario, the supply curve remains unchanged, because sellers are not directly affected. To give an example, assume that for some odd reason the government wants to reduce the consumption of burgers. One way to do this is to impose a tax on either buyers or sellers. We’ll assume the government decides to impose a tax on the sellers of burgers. They now have to pay a tax of USD 1.00 for every burger they sell. As a result, the supply curve shifts, because this makes selling burgers less profitable. Demand for burgers remains the same however, so the demand curve does not change. In Which Direction and by How Much? Now that we know which curve shifts, we need to find out in which direction and by how much. Luckily, this is quite simple. Taxes can be seen as additional costs, so they reduce the market. Therefore, as a rule of thumb, they shift curves to the left. More specifically, a tax on sellers shifts the supply curve to the left (i.e. upwards) whereas a tax on buyers shifts the demand curve to the left (i.e. downwards). The magnitude of the shift is always equal to the exact size of the tax. However, it is important to note that this does not mean the market price will shift by the same amount. You can see this in the illustration below. To illustrate this, let’s revisit our example. The initial market price of a burger is USD 3.00. With the tax of USD 1.00 the effective market price (i.e. the price sellers receive after paying the tax) is USD 2.00. As a consequence, sellers will make less profit and therefore only supply the amount of burgers they would supply if the market price was actually USD 2.00. Therefore, the supply curve shifts to the left by the exact size of the tax. What is the New Equilibrium? 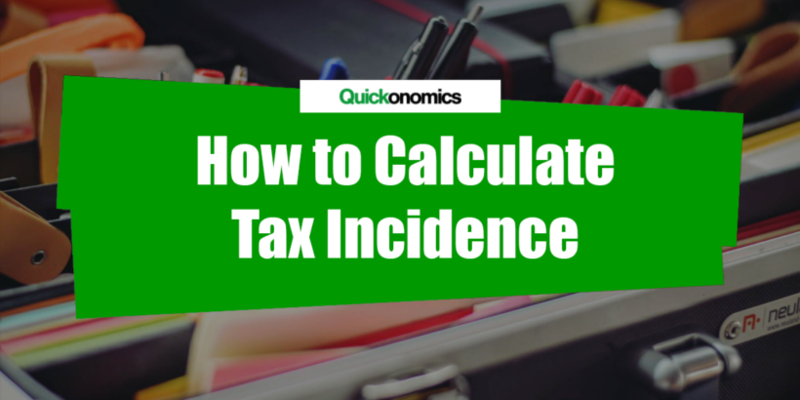 With the information we have collected so far, we can now find the new equilibrium and calculate the tax incidence. As mentioned above, taxes reduce markets, so the new quantity supplied will be lower than without the tax. At the same time, if the tax is levied on sellers, market price increases, whereas it decreases if the tax is levied on buyers. At this point it is important to note that the tax incidence does not depend on who the tax is levied on. The distribution of the burden will be the same, whether the tax is imposed on buyers or on sellers. 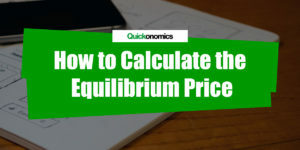 In our example, the new equilibrium price is at USD 3.60 per burger. That means, sellers pass on some of the burden to the buyers, who now have to pay USD 0.60 more for a burger than before the tax. Meanwhile, the sellers effectively only receive USD 0.40 less for each burger they sell. Hence, buyers carry 60% of the tax burden and sellers carry 40%. This may seem odd, given that the tax was imposed on the sellers and not the buyers, right? Well, yes. But again, this does not matter when it comes to tax incidence. Tax incidence depends on the elasticity of demand and supply. If the demand curve is more inelastic than the supply curve, buyers have to carry a larger share of the tax. Analogously, sellers have to carry a higher tax burden if supply is less elastic than demand. Or in other words, the side that has a relatively more inelastic curve (i.e. reacts less to price changes) has to carry a larger share of the tax burden, regardless of who the tax is initially levied on. Taxes can be levied on buyers or sellers of any good or service. However, who actually pays a tax does not depend on who it is levied on. 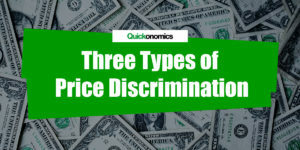 In economic theory, tax incidence – which refers to the distribution of a tax burden between buyers and sellers – only depends on the elasticity of supply and demand. To calculate tax incidence, we first have to find out whether the tax shifts the supply or the demand curve. Next, we can determine in which direction and by how much the curve shifts, which finally allows us to find the new equilibrium and measure the tax incidence. In general, the side that has a relatively more inelastic curve has to carry a larger share of the tax burden, regardless of who the tax is initially levied on.